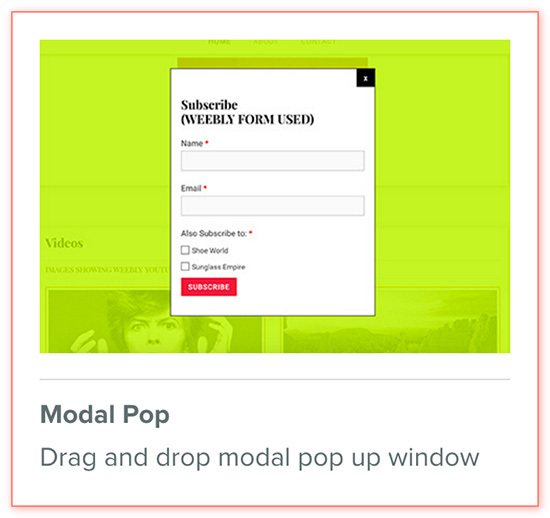 Drag and drop modal pop up window. The use and interface of this amazing element is completely integrated into Weebly's UI. You can virtually drop any of the Weebly elements inside the window, which creates endless possibilities in its use.